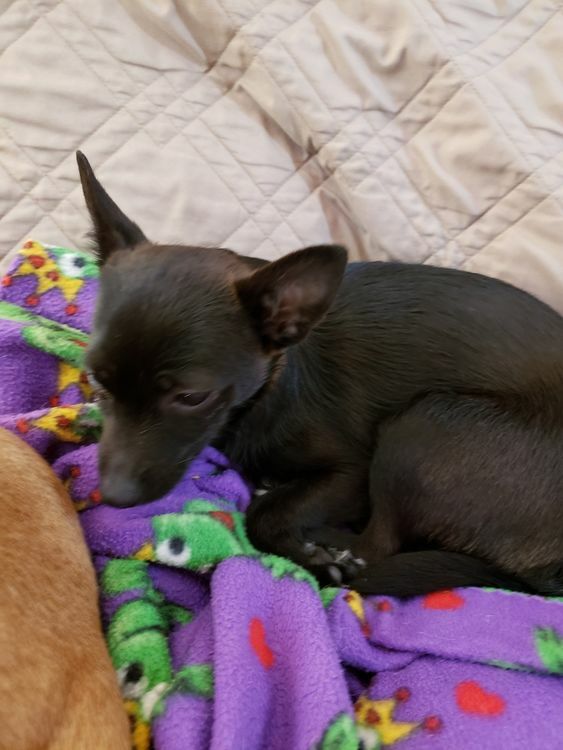 Black female chihuahua. About a year old. Need to find a loving caring home .